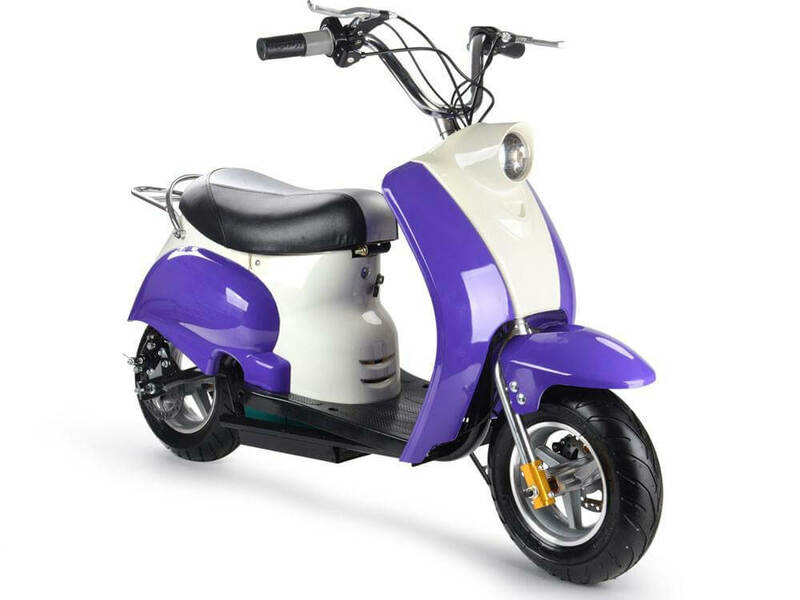 The MotoTec 24v Electric Moped has been built for children and young teenagers in mind. Recommended Age: 13+. It has a top speed of around 15 mph and 350W motor. MotoTec 24v Electric Moped is a great budget electric scooter for young kids and teenagers.